Can you perform major heart surgery? 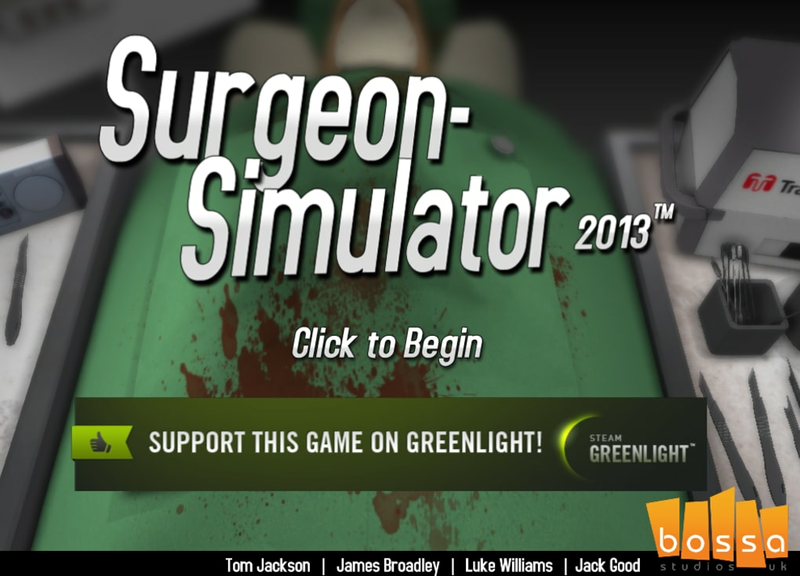 Surgeon Simulator 2013 is a free game which recreates the difficult task of trying to perform a life saving operation. You play the part of a surgeon Nigel Burke. The twist is that Nigel has no medical qualifications - it's just you, some surgical tools and a body. Your goal is to complete various operations as quickly as possible with minimal blood loss starting with a heart transplant. Will the patient make it off the operating table? 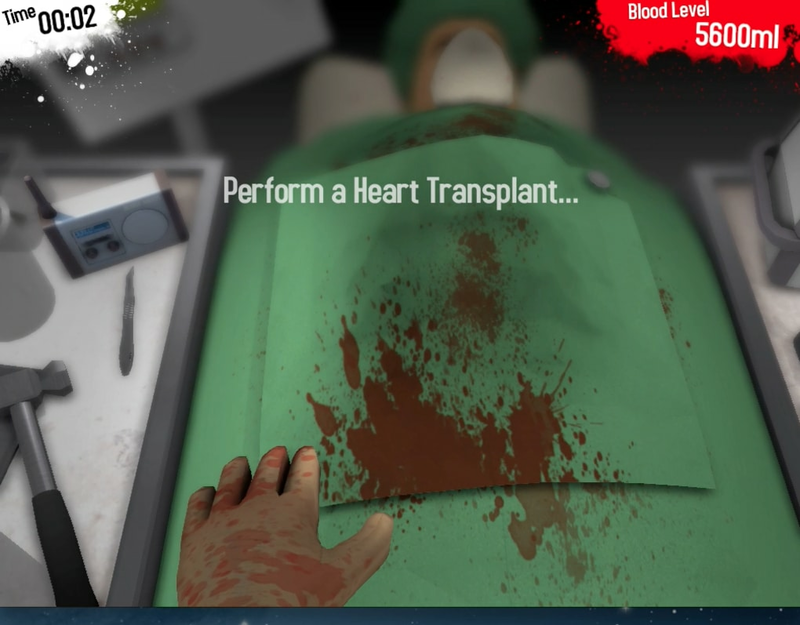 When you start the game, Surgeon Simulator 2013 opens with music from the British hospital drama "Casualty" which continues throughout the game. 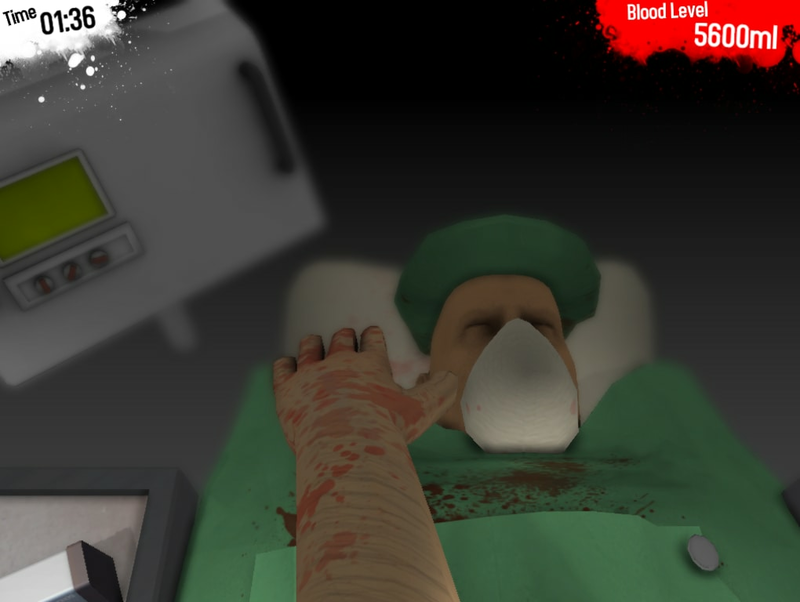 You control the surgeon's hand with the mouse or keyboard but the first thing you'll notice Surgeon Simulator 2013 is extremely difficult to control. You control each finger separately which is tricky in itself but the hardest thing is actually picking-up tools and using them to heal and cut organs. 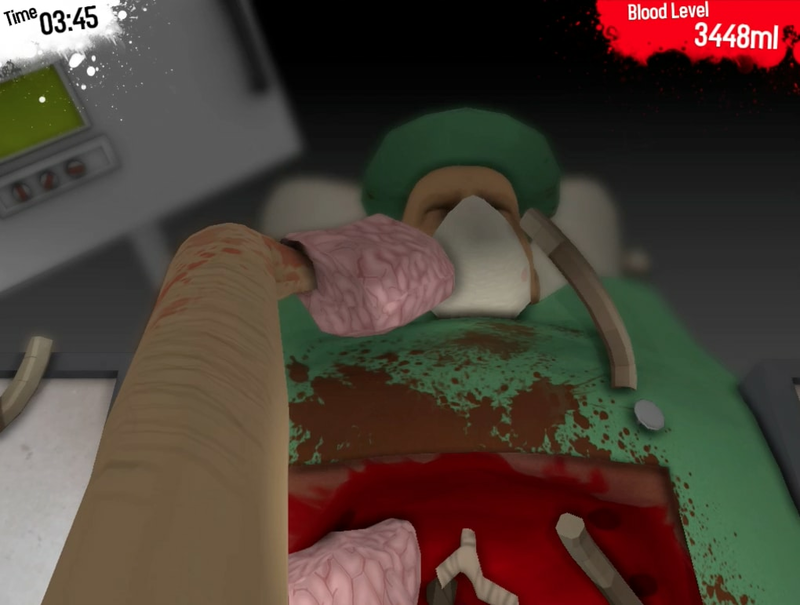 You will inevitably make a huge mess of your first few goes on Surgeon Simulator 2013 and hack your poor patient to pieces. 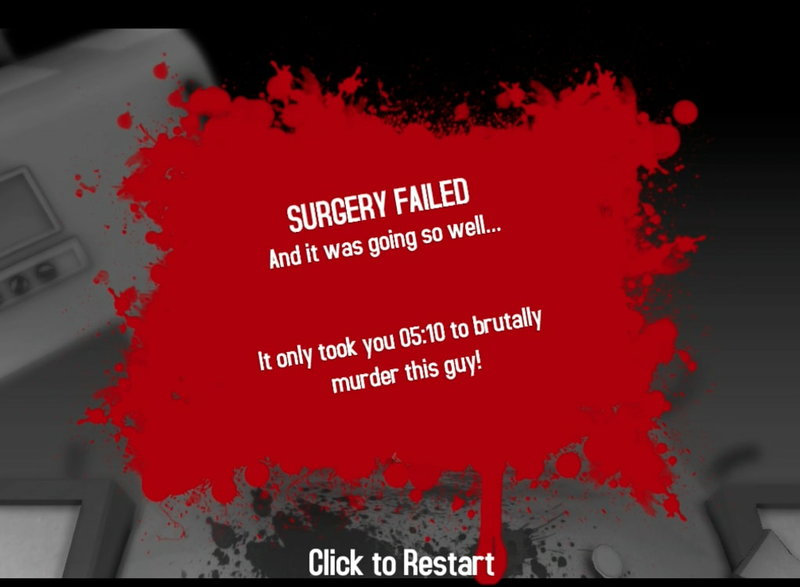 I managed to send the spare heart flying across the room, before destroying the rib cage with a saw and then accidentally throwing both of the patient's lungs at his face - he had no chance after that. 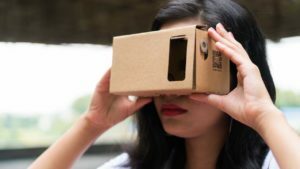 At the end of the surgery, you will be given a verdict as to how the surgery went, a final blood remaining level, surgery time and rating. 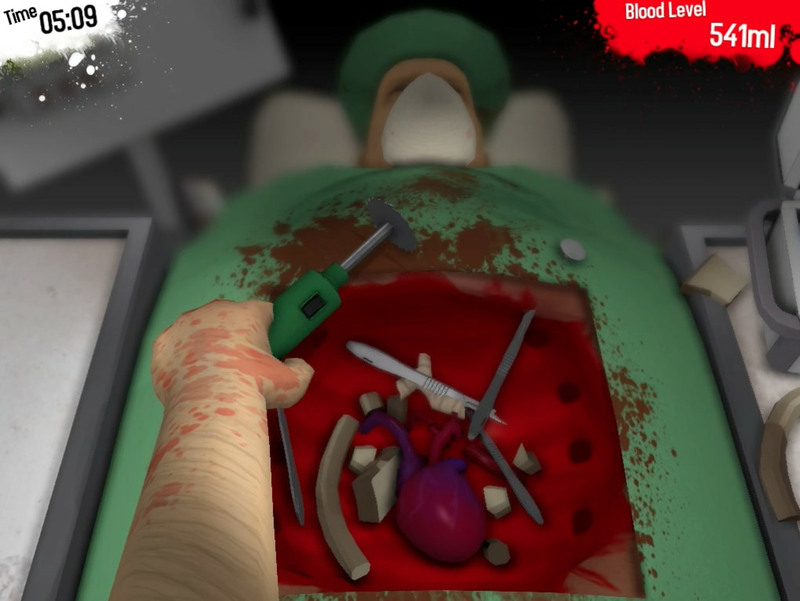 However, it's incredibly hard to know which tools you need and how to use them in Surgeon Simulator 2013. 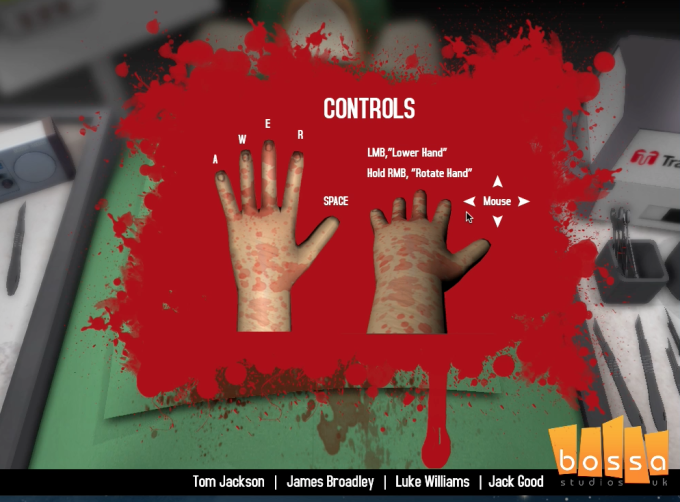 Some in-game prompts or instructions would have been better to prevent every operation turning into a blood bath. 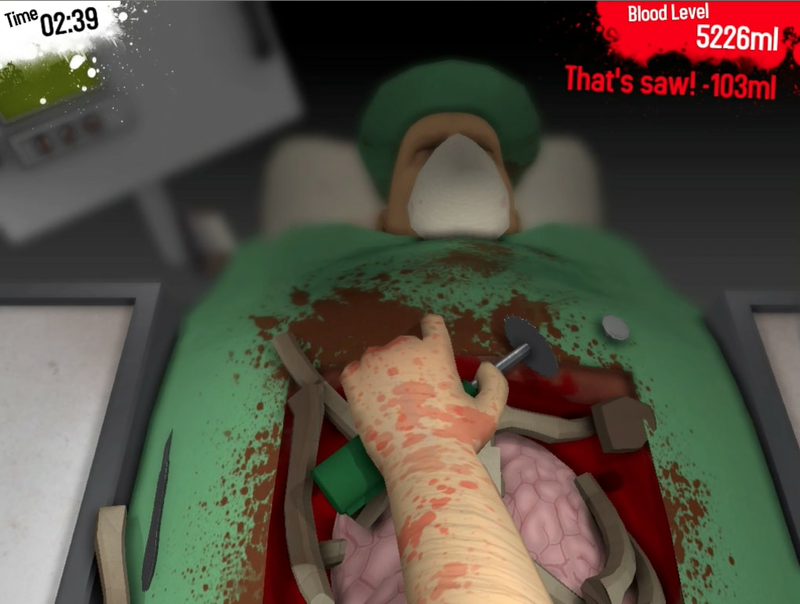 There are some amusing sound effects to Surgeon Simulator 2013 - mostly Nigel Burke going "Oh No!" and "Oh Jesus!" in a cockney accent as things go wrong and your patient slips away. However, the Casualty theme soundtrack gets very repetitive and leaves you wishing the hospital TV drama had never been invented. 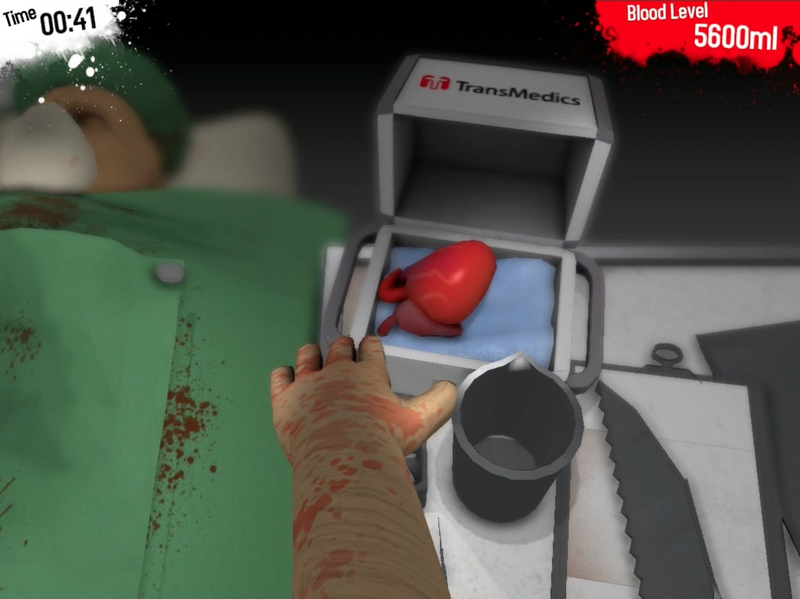 Surgeon Simulator 2013 is still a fun simulator which illustrates the complexity of major heart surgery whilst also being quite educational about the human body too. Fun game with hard controls but fin overall. It is a fun game with lots of "easter eggs" and I love it. It is fun and the controls are hard. But it makes up for that when you try to play and fail and do hilarious things and break out laughing. What a horrible waste of free.. Controls are very poor. There is no directions at all. 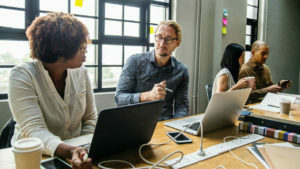 You kind of just go in and start doing whatever you think it is that needs to be done. I don't think there's a way to get past the first surgery. 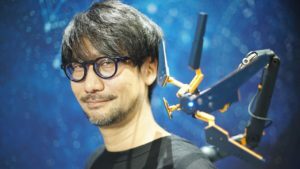 Think it's more of a joke than a game.